The India Game Developer Conference (IGDC) announced 5 winners under different categories for creating original Indian Game IP's at the 10th Anniversary edition of IGDC Conference competition held during December 4-6 at Indiajoy 2018 Media and Digital Entertainment Expo in Hyderabad. The India Game Developer Conference (IGDC) today announced 5 winners under different categories for creating original Indian Game IP's at the just concluded 10th Anniversary edition of IGDC Conference competition held between December 4-6 at Indiajoy 2018 Media and Digital Entertainment Expo in Hyderabad. 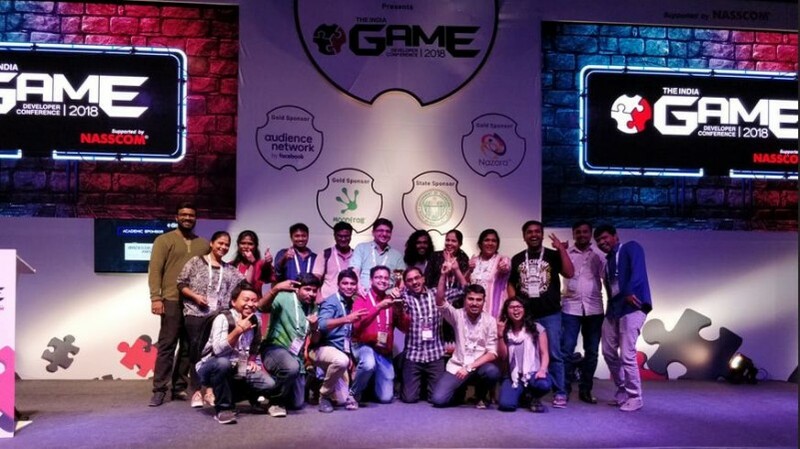 IGDC celebrated its largest turn-out so far, with a record attendance of 2,500 Indian Game Development Professionals and successful entrepreneurs. The IGDC awards are part of the organization efforts to promote the creation of original innovative IPs in India. To further push the Indian Game Development, Business Opportunities ecosystem IGDC held a series of curated networking events including Investor and Publisher pitch sessions to give Indian games developers the opportunity to meet with investors, publishers and business executives. The event also featured BYOG (Build Your Own Game ) a game development jam, where people interested in making games got together to make simple games. "We wanted this edition to live up to the occasion on our 10 year anniversary," Rajesh Rao, Convener, IGDC said. IGDC 2018 has surpassed all expectations with record attendance, eminent speakers and showcased the top-notch game developers. As we go into #IGDC2019" we promise it will be bigger and will leave you wanting more." Rao added. The conference dedicated tracks focused on games design, publishing/advertising, game art and technology, production, and serious games were a hit among the participants. While its Games Expo floor showcased the finest Indian games, several international country pavilions, and a virtual reality pavilion, IGDC 2018 turned out to be the biggest showcase of Indian games development and business talent enabling international delegates to tap opportunities in the Indian marketplace. The 2-day IGDC 2018 held in Hyderabad featured 115 speakers including keynotes from Julian Widdows (Natural Motion/Zynga). Top Video game development and business luminaries such as Dhimant Vyas (Zynga), Francesco Antolini (Avalanche Studios), Kate Edwards (Geogrify), Pascal Luban (Activision, SCEE, Ubisoft and DICE) and Jean-Philippe Pieuchot (Head of Ubisoft India) were among the biggest crowd pullers. Kerala CM Pinarayi Vijayan gives away fears of BJP winning seats in state?